Jana Vonaskova-Novakova and Vlastimil Holek violins. Josef Kluson viola, Michal Kanka cello. 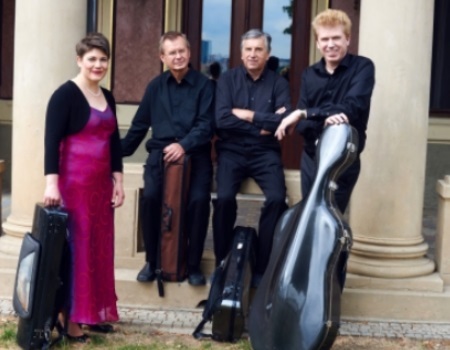 In the first of four lunchtime concerts, the Prazak Quartet’s second concert in the Festival offers three late Romantic quartets written in a period of just over thirty years; the Dvorak in 1878-9, the Smetana in 1883 and the Suk in 1911. It promises to be fascinating and some aperitif!